The Avengers are not only saving the day in their comic book stories, they are also bringing comfort and joy to hundreds of children in hospitals across the United States. In honor of Compassion Month, Disney and Marvel teamed up with Child Life Council (CLC) to develop a limited-edition comic book for young patients in an effort to provide entertainment and normalcy during their hospital stay. 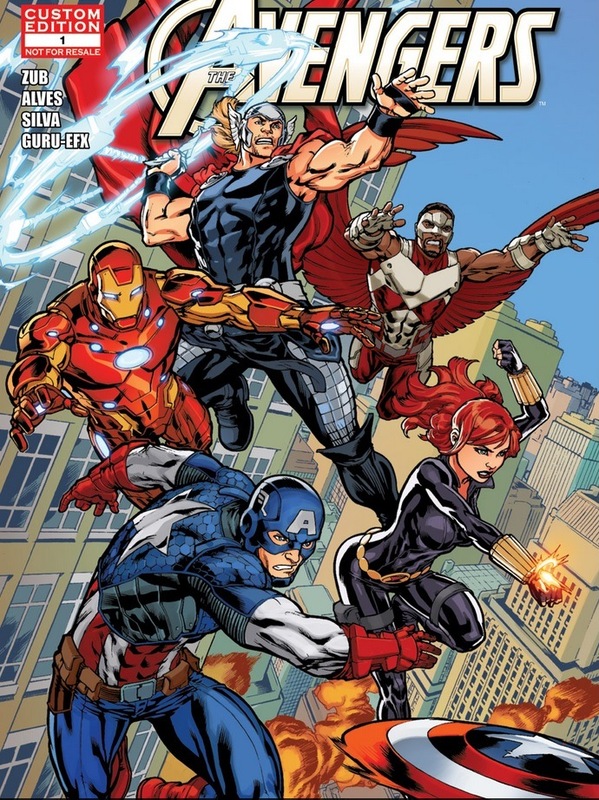 The story—developed by fan-favorite writer Jim Zub and penciler Wellinton Alves, among others—features Avengers Iron Man, Thor, Black Widow, Captain America and Falcon as they assemble to battle alien invader Fin Fang Foom. These mighty Super Heroes show readers that anything is possible with teamwork. The comic book also encourages readers to identify the heroes in their lives—whether they are family members, friends, teachers, medical professionals or others—and to think about how these real-life heroes inspire them to overcome their own challenges and adversities. The comic’s exciting conclusion also folds out into a poster that kids can hang on their walls as a reminder of their heroes—fictional and otherwise. Children’s hospitals in North America will receive 400 print copies of the special issue, and a digital version will be available to all patients as well. Alongside Marvel’s colorful, dynamic and uplifting creation, Disney will fill each care package with other gifts like DVDs, toys, books, Club Penguin memberships and Disney Junior resources for child-life specialists to celebrate the power of play and imagination. The Company will also support CLC through a monetary grant—which, to date, has reached more than $1.5 million—to continue funding initiatives that are dedicated to enhancing the role of therapeutic play in the treatment of hospitalized children and their families. Disney is proud to continue working with CLC year after year to fulfill a very special mission—to bring happiness, hope and laughter to kids when they need it most.